Lady Gaga and Bradley Cooper made us swoon. 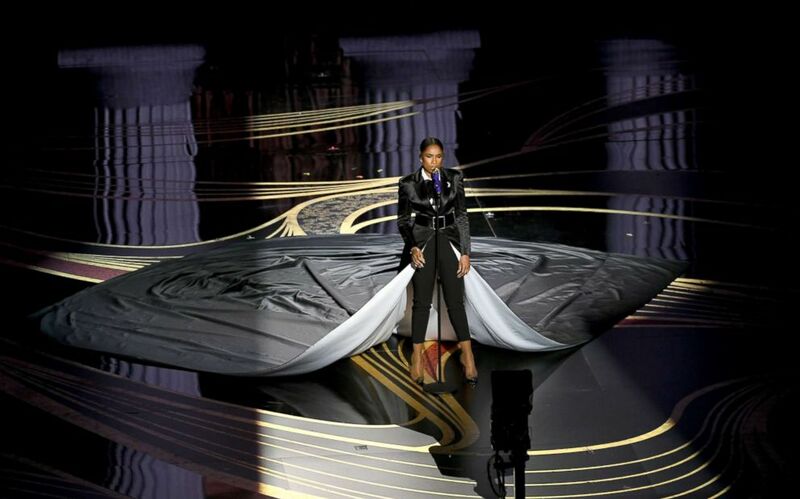 Some of the biggest musical moments on film from the past year had time to shine during the 91st Annual Academy Awards Sunday night. The legendary British band Queen and its current lead singer, Adam Lambert, opened the show with a rousing rendition of "We Will Rock You." The band then launched into another classic, "We Are Champions." At the end of the song, Lambert, dressed in a dazzling blue suit, shouted, "Welcome to the Oscars!" No host, big-time winners, the performances and more from Oscars 2019. There was glitz, glamour and so much more! "Green Book" won best picture while Rami Malek took home best actor. 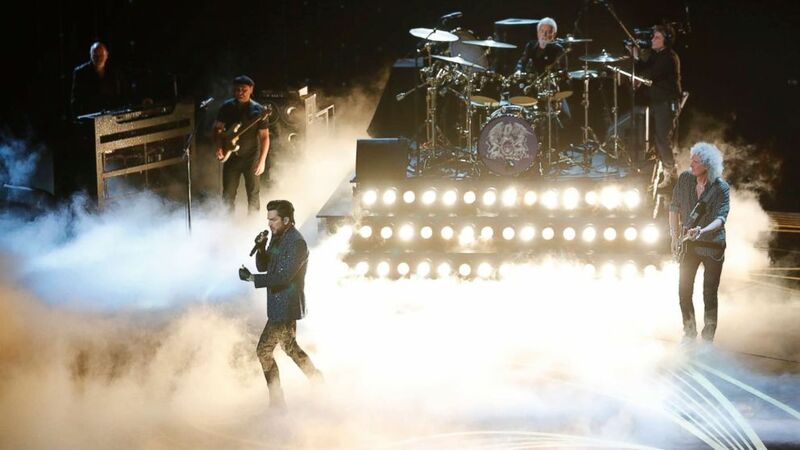 (Mike Blake/Reuters) Adam Lambert performs with Queen at the Oscars, Feb. 24, 2019 in Los Angeles. "Bohemian Rhapsody," the movie that tells the story of Queen's iconic lead singer, Freddie Mercury, was nominated for five Oscars and won four, including best actor by Rami Malek. None of the songs in "Bohemian Rhapsody" was actually nominated for best original song, however, since they were not written specifically for the movie. The emotional standout of the night was Lady Gaga and Bradley Cooper's intimate rendition of "Shallow" from "A Star Is Born." The two walked up on stage from the audience and took their places in front of a grand piano. The performance began with them gazing into each others' eyes and ended with them both sitting at the piano together, cheek to cheek. Shortly after their performance, the song snagged the award for best original song. Gaga and her co-writer, Mark Ronson, took the stage to accept the trophy. Jennifer Hudson, who won the best supporting actress Oscar for her role in "Dreamgirls" in 2007, returned to the Oscar stage to perform "I'll Fight," from the documentary "RBG" about Supreme Court Justice Ruth Bader Ginsberg. She belted out the Diane Warren-penned tune on a set designed to resemble the Supreme Court. (Kevin Winter/Getty Images) Jennifer Hudson performs onstage during the 91st Annual Academy Awards at Dolby Theatre, Feb. 24, 2019 in Hollywood, Calif.
Bette Midler performed "The Place Where Lost Things Go," the nominated song from "Mary Poppins Returns," dressed in a whimsical flower dress and surrounded by floating umbrellas. The song, written by Marc Shaiman and Scott Wittman, was performed by Emily Blunt in the movie. 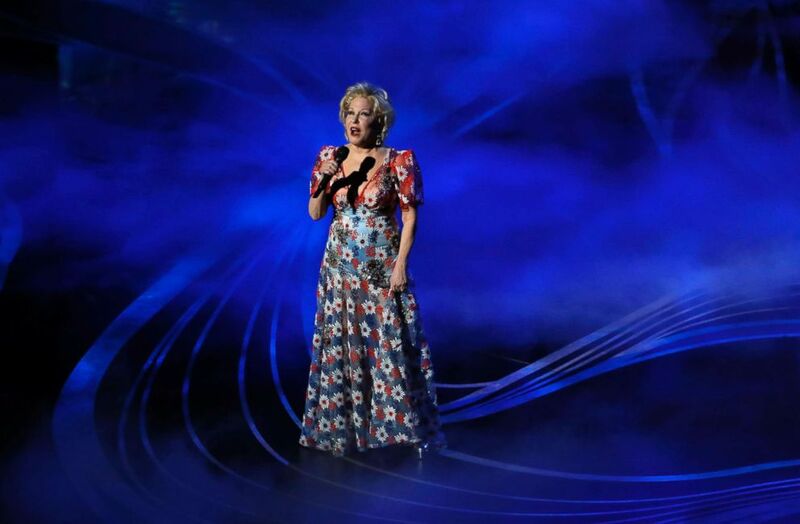 (Mike Blake/Reuters) Bette Midler sings "The Place Where Lost Things Go" during the Oscars, Feb. 24, 2019, at the Dolby Theatre in Los Angeles. Gillian Welch and David Rawlings took the stage to perform "When a Cowboy Trades His Spurs for Wings," from the movie "The Ballad of Buster Scruggs." 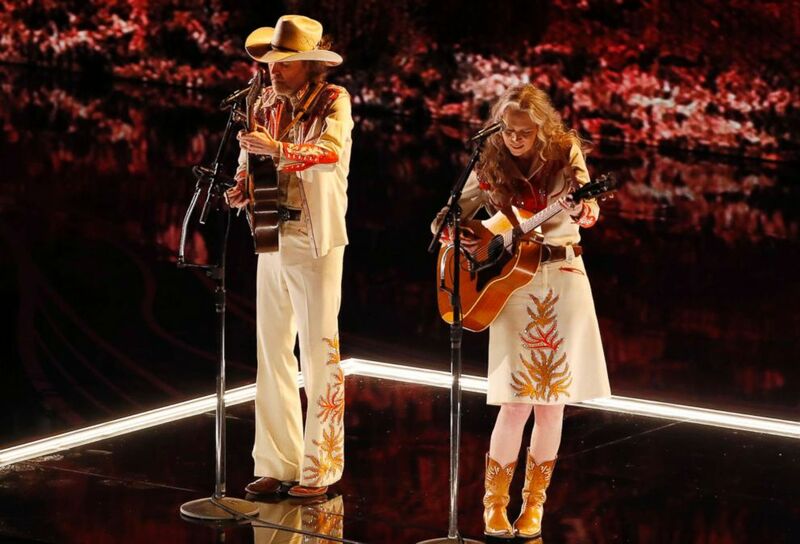 (Mike Blake/Reuters) Gillian Welch and David Rawlings sing "When A Cowboy Trades His Spurs for Wings" from film, "The Ballard of Buster Scruggs," Feb. 24, 2019 during the Oscars at the Dolby Theatre in Los Angeles. The only best original song nominee that did not get a performance was "All the Stars" by Kendrick Lamar and SZA from "Black Panther." Logistics and scheduling were apparently to blame for Lamar's absence. Initially, the Academy was only going to allow the two most successful best original song nominees -- "All the Stars" and "Shallow" -- to perform on the telecast, but after backlash from the nominees, it relented and said it would allow all of the nominated tunes to be performed.